San Diego Comic-Con is just around the corner and that means there is going to be a whole lot of comic book movie related news coming our way. Marvel Studios just made a huge splash at D23 by showing the first footage from Avengers: Infinity War and they aren't showing any signs of slowing down at SDCC. So how can Warner Bros. and the DC Extended Universe compete? By announcing the Wonder Woman 2 release date, for starters. The Hollywood Reporter recently published a report about Wonder Woman becoming the third biggest hit ever for Warner Bros. at the domestic box office. That is a huge deal. Buried in the report was the news that, if all goes well, the studio will announce the Wonder Woman 2 release date in Hall H at San Diego Comic-Con this weekend and will formally announce that Patty Jenkins will return to direct. Here's what they had to say about it. "The female-led tentpole has become a winning case study for why Hollywood studio executives should entrust female directors with their marquee properties. And if all goes as planned, Warners and DC will announce a release date for a Wonder Woman sequel at Comic-Con late this week, with Jenkins once again directing." There are a few things we can count on this weekend from Warner Bros. and the DCEU. One of them being a new Justice League trailer. Even though there is the "if all goes as planned" caveat, this seems like a home run and a sure bet as well. Warner Bros. is enjoying one of the biggest critical and financial successes of the summer with Wonder Woman. Building on that success and formally announcing the sequel, a release date and locking down Patty Jenkins seems like a great way for them to make a big splash at SDCC this year. With that, some new Justice League footage and maybe, just maybe, some new info on The Batman, as well as some other DCEU projects, they could blow Marvel Studios away this year. And that is really saying something. Wonder Woman currently stands at $765.9 million worldwide. 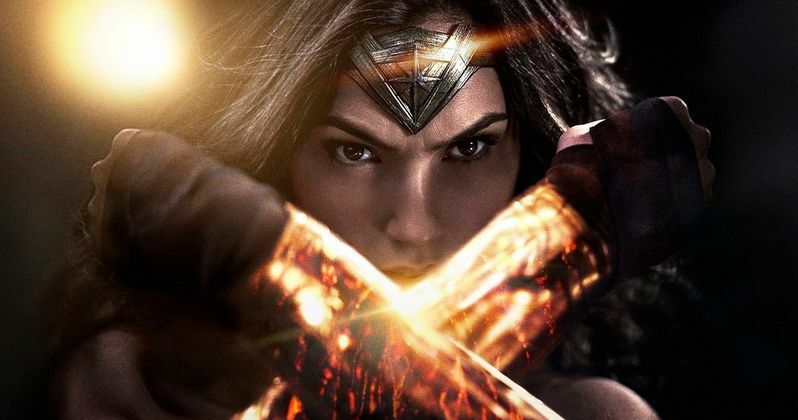 It is the highest-grossing DCEU movie domestically, the most critically-acclaimed movie in the DCEU, the first female-led superhero movie of the modern era and has enjoyed the best hold of any superhero movie in more than 15 years at the box office since making its way into theaters last month. Make no mistake; Wonder Woman 2 is happening. It's just a matter of when they announce it and when it will come out. SDCC 2017 seems like the perfect place to firm up those plans. It has been rumored that Wonder Woman 2 takes place in the 1980s, with Diana Prince taking on the Soviet Union. Original Wonder Woman star Lynda Carter has confirmed that she is in talks to appear. Warner Bros. recently slotted two new release dates for currently unannounced DC movies in 2020. February 14, 2020, and June 5, 2020, are going to see the release of DCEU movies and it seems like a very safe bet that one of them will be Wonder Woman 2. It's anyone's guess what the other one will be. The Batman? The Flash? Suicide Squad 2? Shazam? Maybe that will also be cleared up this weekend, but this should prove to be a very exciting Comic-Con for Wonder Woman fans.